The court said it was using only 0.03 per cent furnace oil in its plants and "immediate stoppage" of its use would lead to "blackout" as the corporation was providing electricity to various states. 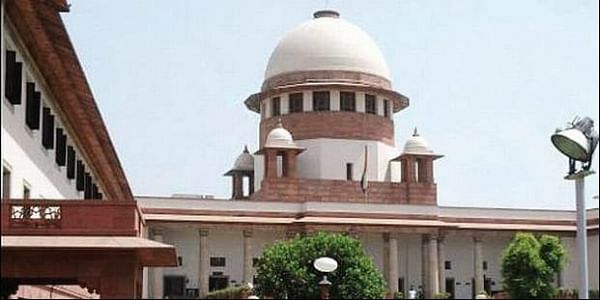 NEW DELHI: The Supreme Court today refused to modify the Centre's notification banning the use of furnace oil and pet coke in Uttar Pradesh, Rajasthan and Haryana and asked the NTPC, which was seeking relaxation till it switches over to alternative fuel, to approach the government. The top court said this while hearing a plea by National Thermal Power Corporation (NTPC) Ltd which said it was using only 0.03 per cent furnace oil in its plants and "immediate stoppage" of its use would lead to "black out" as the corporation was providing electricity to various states. "The Government of India has issued a notification. We are not going to modify the ... notification," a bench comprising Justices M B Lokur and Deepak Gupta told Additional Solicitor General Tushar Mehta, who appeared for the NTPC. Mehta told the court that they were not concerned with the ban on use of pet coke but furnace oil was being used in thermal power plants. He said there was "miniscule use" of furnace oil and they were on the verge of phasing out its usage completely. "We are providing electricity to various states. We will have to phase it out and change the design. That will take some time. For boosting, we need furnace oil," he said. Mehta argued that the Centre's notification was issued in pursuance to the order passed earlier by the apex court and the government would not be in a position to modify it as it would be akin to modifying the top court's order. "Can we shut our eyes that the Centre and CPCB (Central Pollution Control Board) acted on your order? We will use alternate fuel. There has to be some solution. We need to switch over but immediate stoppage will not be in the interest of the country as we supply power to various states," he said. To this, the bench asked, "Tell us, children are not part of this country? Delhi is not part of this country?". Mehta clarified that every citizen of this country was entitled to have a good environment but they were using only 0.03 per cent furnace oil and not contributing to pollution. When he said there would be a 'black out' if plants get shut, the bench said, "do not give us all that. There will be no black out. The order is passed by the Government of India. You go and approach it". The bench initially said it was dismissing NTPC's plea while terming it as "infructuous" but later Mehta withdrew the application. Similarly, the apex court also refused to modify the Centre's order on a separate plea filed by Hindalco which also withdrew its application. The Centre had earlier informed the court that CPCB had issued a direction prohibiting use of pet coke and furnace oil with immediate effect until further orders in the states of Uttar Pradesh, Rajasthan and Haryana. The apex court had then asked all states and union territories to consider prohibiting the use of pet coke and furnace oil by industries, saying it was a cause of pollution not only for national capital region (NCR) but the entire nation. The court had on October 24 banned the use of pet coke and furnace oil in these three states from November 1 while keeping in view the pollution levels in Delhi-NCR and noting that these states had no objection to it. The use of pet coke and furnace oil is already prohibited in Delhi.